The thing that really baffles me about consciousness is that I can kind of see that one could program a computer to behave exactly as though it were conscious, to pass the Turing Test, and actually fool people into thinking that it was conscious, but I still have trouble believing it actually would be. And yet I think I have to be committed to the view that it would be. He recognizes that his worldview requires him to believe that such a computer would be conscious, and yet deep down he knows that can’t be right. He recognizes that the computer’s experience would not be the same as our experience. And what would that difference be? We have a first-person awareness of ourselves while a computer would not, even if both could perform identical functions. Dawkins realizes that consciousness cannot be reduced to function and physics, and yet his worldview requires him to maintain the otherwise ridiculous claim that a super computer should be thought to have consciousness just like us. I like the way the agnostic moderator, Anthony Kenny, responded to Dawkins’ admission: “I think it’s rather sad that you are committed to that view. Computers are human tools. They can’t even add two and two together.” Exactly. It is rather sad that someone would confess such intellectual absurdities because they are so committed to naturalism. During his recent dialogue with Archbishop Rowan Williams, Richard Dawkins invoked the anthropic principle to say that even if the origin of life is improbable, it “had to” happen at least once on this planet since we are here. At that point the moderator, Anthony Kenny, an agnostic philosopher, asked Dawkins what kind of necessity he had in mind when he said life “had to” originate here. 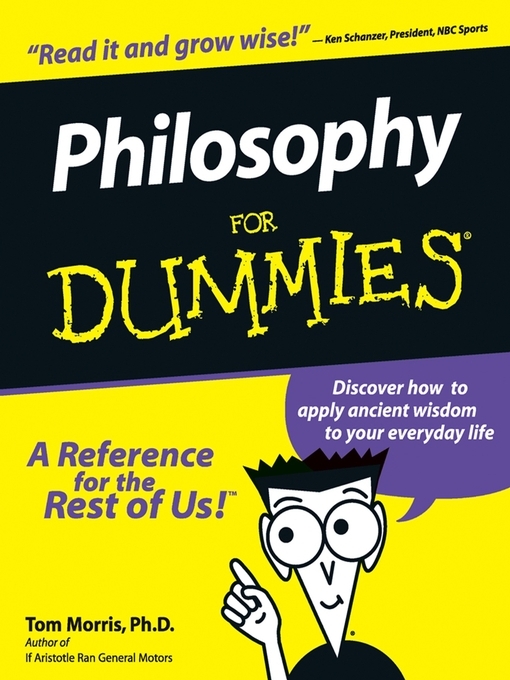 Kenny noted that there are two kinds of necessity: metaphysical necessity and epistemic necessity. Metaphysical necessity means it is impossible that some X not exist, whereas epistemic necessity means it is impossible not to know that some X is true. He went on to explain that epistemic necessity does not entail metaphysical necessity, so while it may be epistemically necessary that we exist (we cannot not know that we exist), it does not mean we had to exist. Our existence may be contingent, even if knowledge of our existence is not. As expected, Dawkins clarified that he was not saying our existence was necessary, but only that it there can be no doubt that life did arise at least on this planet since we are alive. What struck me about Dawkins’ response was not his answer to the question, but what he said immediately before his answer: “I don’t know the words ‘epistemic’ and so on, so I’m not going to use that.” Really? That is a term so basic to the study of philosophy that no student could pass an intro-to-philosophy course without knowing it. It leads me to believe that Dawkins does not know the first thing about philosophy (which should not be surprising to anyone who is familiar with Dawkins’ arguments). Why has our society so meekly acquiesced in the convenient fiction that religious views have some sort of right to be respected automatically and without question? If I want you to respect my views on politics, science, or art, I have to earn that respect by argument, reason, eloquence or relevant knowledge. I have to withstand counter-arguments. But if I have a view that is part of my religion, critics must respectively tiptoe away or brave the indignation of society at large. Why are religious opinions off limits in this way? Why do we have to respect them simply because they are religious? Alien Designer, Yes. Divine Designer, No. BEN STEIN: What do you think is the possibility that Intelligent Design might turn out to be the answer to some issues in genetics or in evolution. 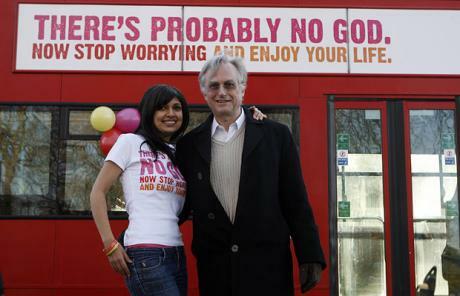 DAWKINS: Well, it could come about in the following way. It could be that at some earlier time, somewhere in the universe, a civilization evolved, probably by some kind of Darwinian means, probably to a very high level of technology, and designed a form of life that they seeded onto perhaps this planet. Now, um, now that is a possibility, and an intriguing possibility. And I suppose it’s possible that you might find evidence for that if you look at the details of biochemistry, molecular biology, you might find a signature of some sort of designer. Four things are of interest, here. First, when scientists have to resort to aliens to explain how life on Earth could have originated, you know they have no clue at all about the origin of life! Secondly, Dawkins admits that design is empirically detectable. If that is true, then contrary to the anti-ID talking points, Intelligent Design is a genuine scientific theory. Thirdly, this hypothesis—even if true—would not explain the origin of life in general, but only the origin of life on Earth. Alien life would go unexplained. Fourthly, he is willing to countenance the possibility that a designing intelligence is responsible for life on Earth, so long as that designer is not a divine being. This reveals the fact that he not truly opposed to the existence of genuine design in biology, but simply prejudiced against the existence of a divine designer. A younger Dawkins is stumped, then ducks the question of where we find new genetic information being produced in the biological world. The video is rather funny. Dawkins replies to the video here. You be the judge of whether his explanation is just a further dodge or not. If you’ll notice…he still doesn’t answer the question!